We only have so much time in a day, and the creators of a new mobile app called Aviate want to make sure Android-device users don’t spend it swiping through screens looking for apps. 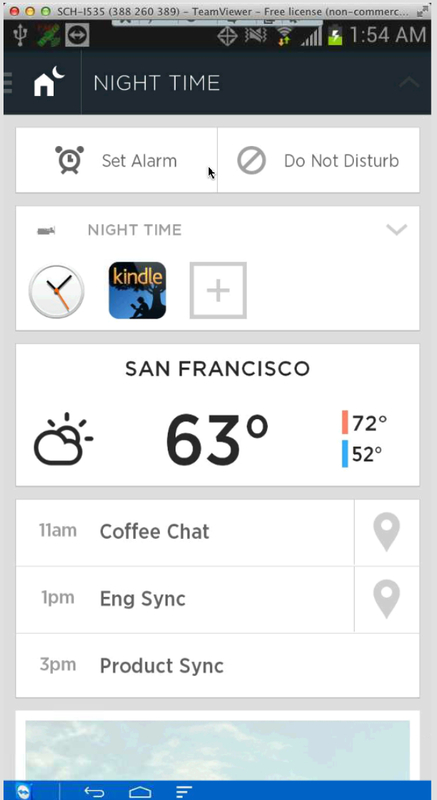 Essentially, Aviate is an intelligent home screen disguised as an app. You download Aviate from the Google(s goog) Play Store like anything else, but it’s designed to take over the usual start screen and simply the experience, Co-founder Mark Daiss explained during a recent call. Aviate overlays the stock Android home screen with a pared-down version that includes between six and eight of the apps you use most frequently. Elsewhere, it organizes your apps into different categories rather than just a long alphabetical list. When you change locations, Aviate knows and will surface the apps and information you probably want while you’re there. It’s kind of like Google Now or even Siri(s aapl) in this regard, only it’s not an app or an alert that requires any action. Rather it’s the first thing you see when you turn on the phone. 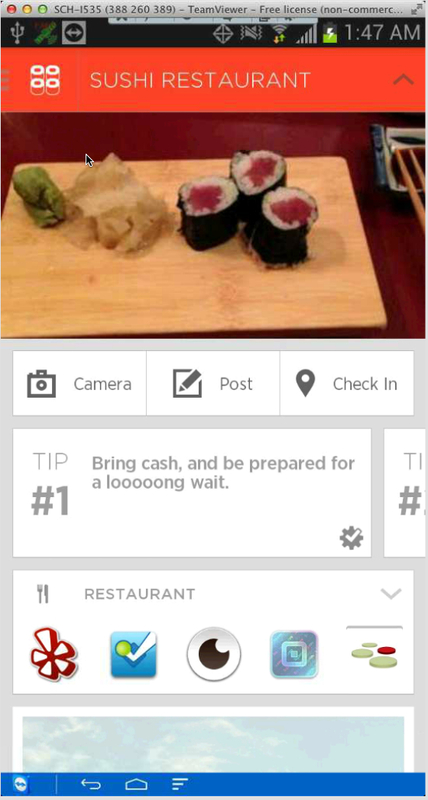 So, say you’re in a sushi restaurant, as Co-founder Paul Montoy-Wilson — a former product manager for Google Play — was during a demonstration. Aviate will bring up apps such as Yelp and OpenTable, and includes buttons for taking a picture, posting an update or checking in. It pulls information from places like Foursquare and turns it into tips about the food, the experience and other factors you might find important. When you’re driving, Aviate will bring up apps such as Waze or Google Maps, as well as automated buttons for getting weather or directions home. When you’re at home at night, you’ll get the next day’s meetings and weather, an alarm clock, and maybe a KIndle app(s aapl) if you’re into reading. Aviate must be solving a problem a lot of Android users feel is weighing them down. (I’d argue the context-recognition stuff is more useful than re-organizing the home screen or categorizing apps.) The company, which also includes Co-founder William Choi, a former search engineer at Google, has raised $1.8 million in venture capital from Andreessen Horowitz and Highland Capital. When Aviate released an alpha version in late June, it did so quietly and was expecting between 50 and 100 users, but someone put the download link on Reddit and the company’s servers crashed the first weekend. The company had to start limiting how many people could sign up, but more than 70,000 have registers so far. On Tuesday, anyone who hasn’t been able to download it yet will get their chance to download the beta version, and they can invite five people apiece. Over time, Montoy-Wilson said, Aviate should evolve from a relatively static experience into a more-personalized one. That means different users might see different apps and different functions when they’re in the same place, and rather than recommending apps based on what’s popular among all Aviate users, it could look to a user’s social graph or other sources. The company has brought on two machine learning engineers to help it make the most of the data it’s collecting and figure out how to use it. Electronic things that try to read my mind give me gas. Calling it “just an app launcher” seems like such a stilted description that it is just outright wrong. Sure it might be best categorized as an app launcher, if you really just had to cram everything into a little box, but I think saying that is a little like calling the International Space Station a “science project”.